Approximately 3.1 million people in the U.S. follow a gluten-free diet, even though 72% fall into a category called “PWAGs” – people without celiac disease avoiding gluten. Over the past five years, the number of people on a gluten-free diet has skyrocketed due to marketing campaigns and health concerns. However, the prevalence of gluten intolerance hasn’t increased, indicating that a lot of people have followed trends in health without fully understanding how gluten affects the body. According to a study by the Mayo Clinic, the benefits of a gluten-free diet remain unknown for people who don’t have a gluten intolerance. Concerns about nutrition have been raised since many products with gluten also have a lot of iron, calcium, and fiber. Gluten intolerance does exist, however, and those who have it report feeling much better after eliminating gluten from their diet. An estimated 10% of the population has gluten sensitivity. About 1% has celiac disease, an autoimmune disorder affecting the small intestine, caused by a reaction to gluten. Is Gluten Good or Bad? Gluten is a protein found in wheat. No scientific evidence exists to support benefits to eliminating gluten from one’s diet unless a person suffers from gluten intolerance or celiac disease. Some estimates show that sales of gluten-free products have grown by as much as 70%, which means most people have gone gluten-free for reasons unrelated to health. According to a recent poll by The NDP Group, 30% percent of adults admitted that they wanted to “cut down or be free of gluten.” However, since whole wheat constitutes the majority of our dietary fiber, many scientists and doctors have raised concerns about nutritional deficiencies associated with a gluten-free diet. So, if you do have a gluten intolerance, how can you tell? The best way to find out is to have your doctor do some tests for a wheat allergy and celiac disease. However, if those come back negative, your doctor may prescribe a gluten elimination diet. You should keep track of the foods you eat in a journal to see what triggers your symptoms. Pay attention to how you feel after eating certain foods and when the symptoms occur. 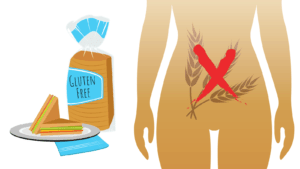 If you have most of the symptoms on this list, you probably have a gluten intolerance. Make sure to see a doctor as soon as possible so he or she can diagnose you and offer solutions. 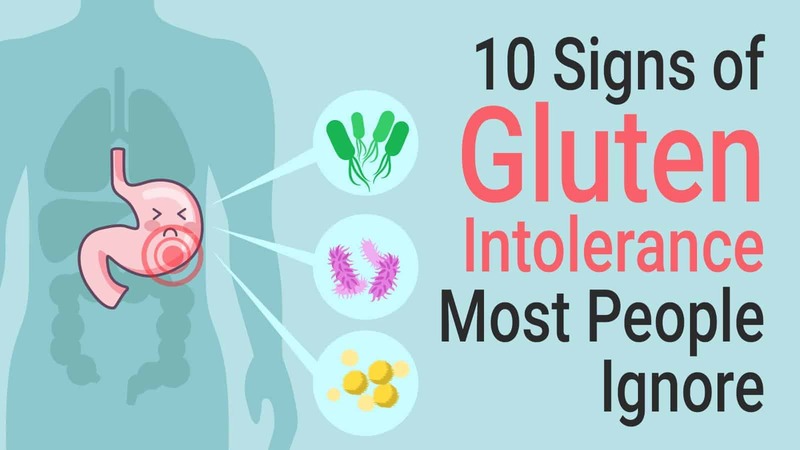 If you have an intolerance to gluten, you will probably experience uncomfortable digestion and have excess gas, bloating, constipation, or diarrhea. Take note of what foods trigger this symptom and when you start experiencing the discomfort. Frequent mood changes often occur in those with gluten sensitivity. If you feel overly anxious, depressed, or unstable, check your diet for the cause of these changing moods. Gluten could be the culprit behind your mood instability. Inflammation due to gluten intolerance can cause aching knees and other joint problems. 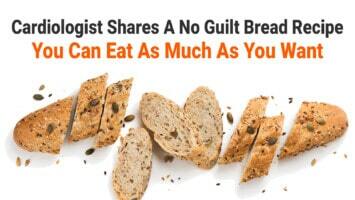 Some studies have even found a link between arthritis and gluten sensitivity. 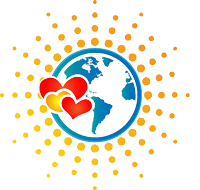 Malabsorption of gluten can lead to some problems with our largest organ: the skin. Gluten intolerance has been linked to skin problems such as acne, psoriasis, eczema, and dermatitis herpetiformis (DH). DH can cause a lot of damage and is defined by the Gluten Intolerance Group as: “a chronic disease of the skin marked by groups of watery, itchy blisters that may resemble pimples or blisters. You can also get a condition called Keratosis Pilaris – also known as chicken skin – which causes raised red bumps on the skin. This occurs due to intestinal damage from gluten as well as the inability to properly absorb Vitamin A and fatty acids. Many people with gluten intolerance suffer from fatigue due to the body’s inability to break down the gluten as well as the inflammation that occurs when you ingest products with gluten. In a study published in BMS Gastroenterology, researchers found a link between gluten intolerance and “aphthous stomatitis” – a condition that causes frequent mouth ulcers and canker sores. Furthermore, many people with sensitivity to gluten can develop problems with the teeth due to lack of calcium resulting from malabsorption. Many people get migraines, but they seem to be particularly common among those with gluten sensitivity. A study showed that for those with a gluten intolerance, eating gluten can trigger intense headaches and migraines due to inflammation in the nervous system. When someone suffers from gluten intolerance and doesn’t know it, they might eat a lot of products with gluten. Since they cannot digest the gluten properly, the body will assume it is under attack. As a result, other autoimmune diseases can develop including lupus, psoriasis, arthritis and multiple sclerosis. Excess inflammation due to consuming gluten can lead to overtaxing the adrenal glands, which will throw off your hormone balances. This can lead to your body producing excess cortisol to respond to the stress of attempting to digest the gluten, which can result in weight gain, fatigue, and mood instability. The excess inflammation in your body can lead to symptoms such as dizziness, vertigo, tingling and numbness in your extremities, and brain fog. In an article titled Gluten sensitivity as a neurological illness, published in the Journal of Neurology, Neurosurgery and Psychiatry, researchers found abnormal reactivity to gluten in a class of antibodies known as immunoglobulin (IgG). They believe this reaction can lead to brain fog and cognitive decline. However, brain fog can occur as a result of many different disorders, so make sure to check with your doctor first before diagnosing yourself. Increase in colds and allergies. 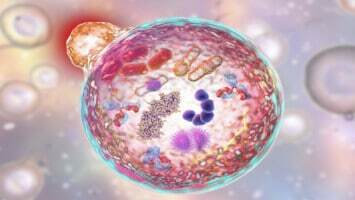 IgA antibodies have a protective effect on the body’s immune system. Found primarily in the gastrointestinal tract and saliva, IgA antibodies help protect the body against colds, flus, and other illnesses. When these antibodies counteract our immune system, we’ll experience an increase in colds and flus. If you notice that your immune system has been down, a gluten intolerance could be to blame. Abdominal pain. Up to 83% of people with a gluten sensitivity experience stomach pain, making it the most common symptom of gluten intolerance. Weight loss. Some people experience weight gain, but others can lose weight due to poor nutrient absorption. As we said before, having these symptoms doesn’t automatically point to a gluten intolerance. Before self-diagnosing yourself, see a doctor to eliminate the possibility of other disorders. Also, don’t eliminate gluten from your diet before seeing a doctor, as this will make it difficult to determine if you have a gluten intolerance or if something else is causing you discomfort. Below, we’ll go over some foods to eat for those with a sensitivity to gluten. Keep a food journal to see how you feel after eating some of these foods. Breakfast Foods such as pancakes, waffles, biscuits, etc. We hope this list of common symptoms of gluten intolerance will help you make informed decisions about your dietary choices. Please remember that if you don’t have a gluten intolerance, you won’t have a problem with gluten and should continue eating it as part of a healthy, balanced diet. Only those with celiac disease or a sensitivity to gluten should eliminate it from their diet. See a doctor if you think you have a problem digesting gluten. If you do have a gluten intolerance, you can still eat many healthy foods, as we listed above, so don’t get discouraged. A gluten-free diet can still be a tasty, fulfilling one that contains all the essential vitamins and minerals.